The intention of this residence was to create a sanctuary for a writer, his wife and two college-age sons. The site is located in a typical suburban community in Mill Valley, California. The request from the client was a home with an extremely quiet street presence that, once entered, creates a garden-like oasis. 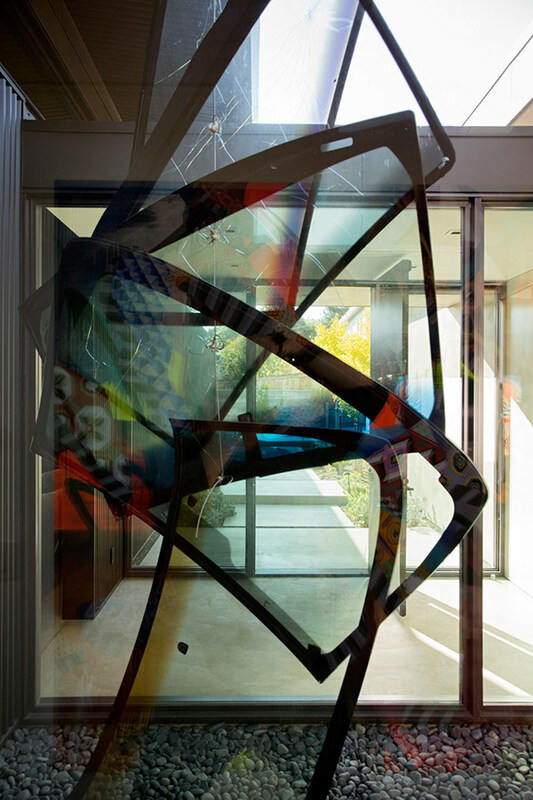 In addition, as collectors of modern art, the clients wanted to merge the spirit of an urban industrial artist's studio with the comfort of a rural home. 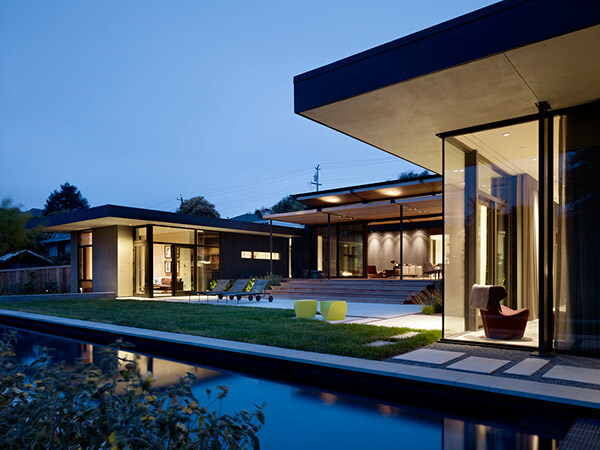 The resulting form of the home is a u-shaped plan that cradles a south-facing central garden. Two private wings, containing bedrooms and studies, flank the garden at each side. 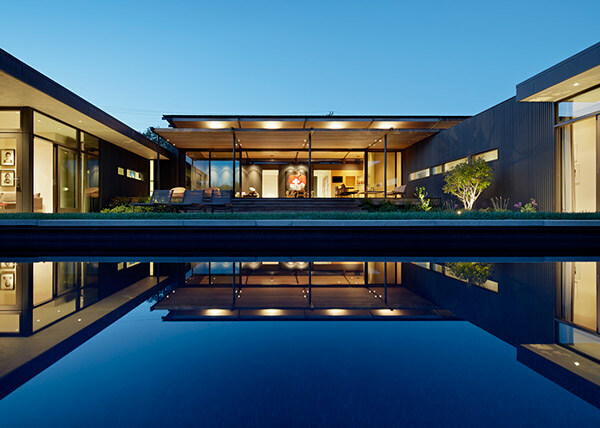 They are connected by a vaulted public great room, with a south-facing wall of retracting glass doors, opening the living/dining and kitchen to the adjoining deck and garden. The plan diagram provides great privacy for (and from) the neighbors to the North, East and West, while opening the home to a dramatic view over the southerly valley and forested hillside beyond. 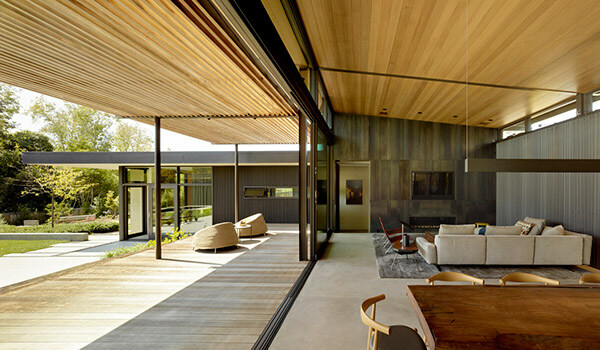 The material palette integrates industrial materials, such as corrugated metal siding, patinated raw plate steel, and concrete floors, that are complemented by the warmth of wood ceilings, cabinets, decks and trellises. The result is an architecture of material simplicity, that focuses on space, texture, and natural light. 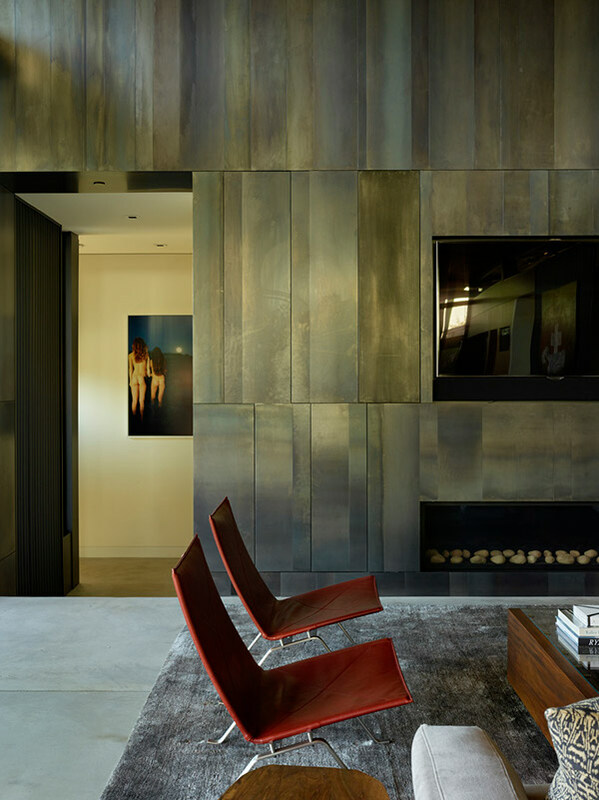 This quiet palette also provides an intentionally neutral backdrop for the client's growing art collection. 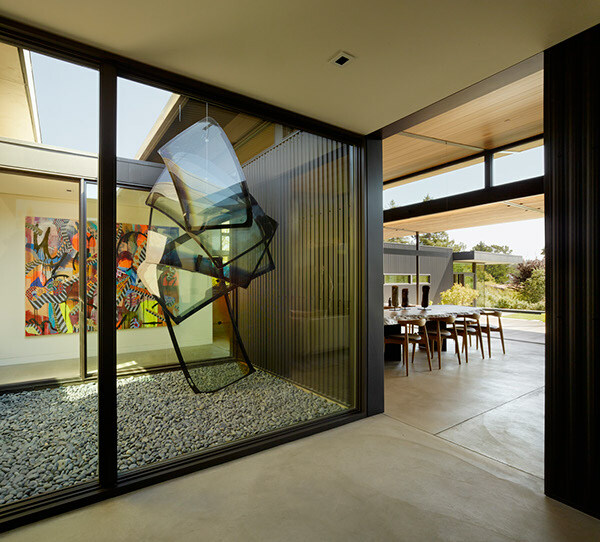 The ultimate goal is a home that lives effortlessly while unifying an experience of art and nature. 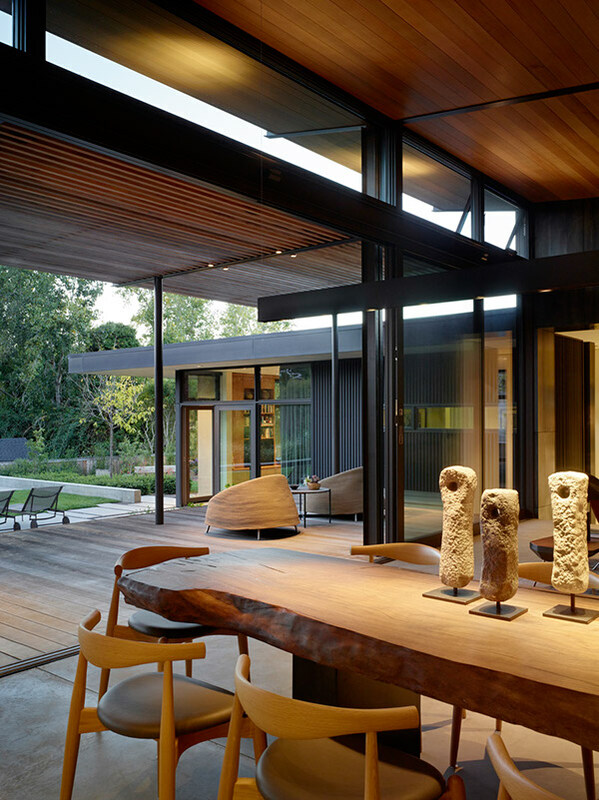 The site for this residence is a typical suburban lot not unlike any other in Northern California. The focus of the home is to create an internal sanctuary for a couple. 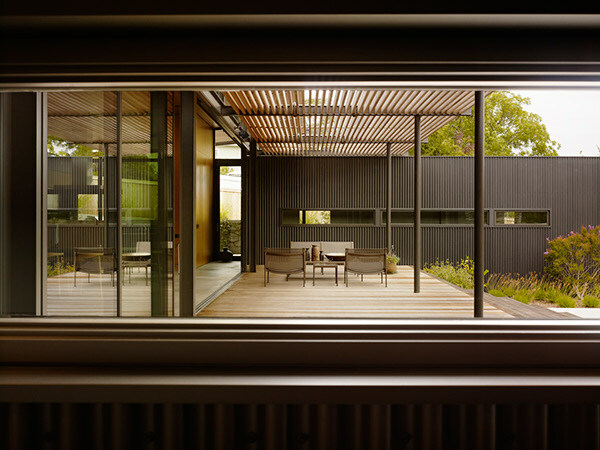 The courtyard form emerged as a strategy to facilitate the ability to immerse oneself in nature while simultaneously providing separate but connected living space for guests to stay. 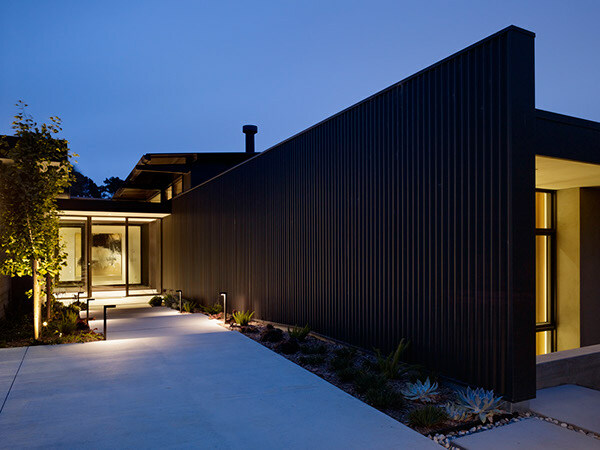 An industrial language of steel and corrugated siding reconnects the home to the land's historic agricultural roots.